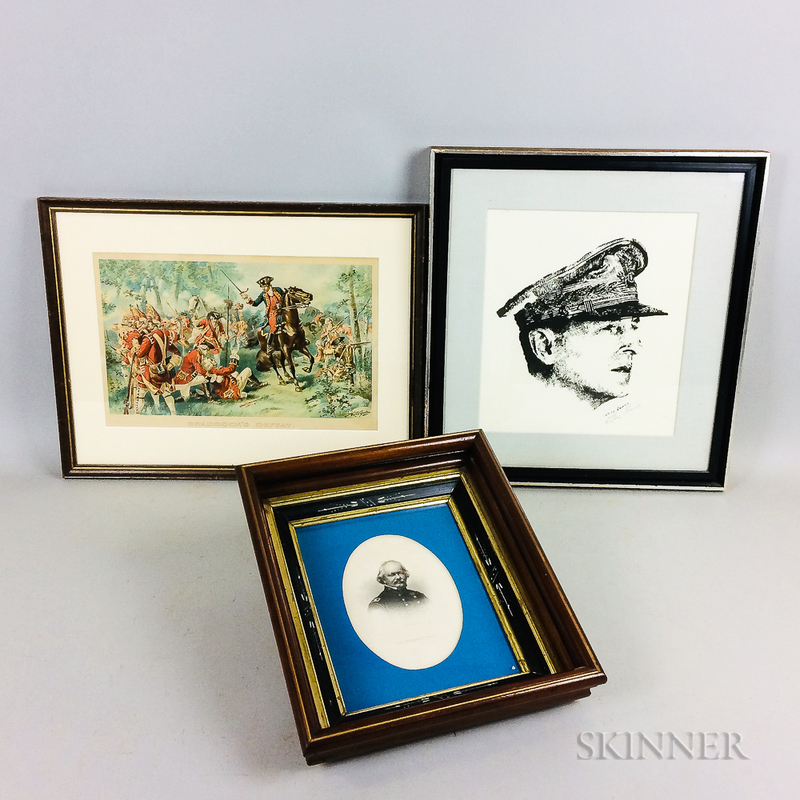 Seven Military Images, America, 19th/20th century, an engraved portrait of Commodore Theodorus Bailey, a photographic gallery card for Samuel A. Cooley framed with images of Cooley, a framed J.W. Pfeiffer New York Daily Market Report sheet for Monday, November 27, 1893, a framed chromolithograph of Braddock's Defeat, a framed image of a military commander signed "Arthur Gruerio," a framed chromolithograph of a Civil War artillery engagement, and a framed chromolithograph of a Civil War naval engagement, ht. to 23 in.